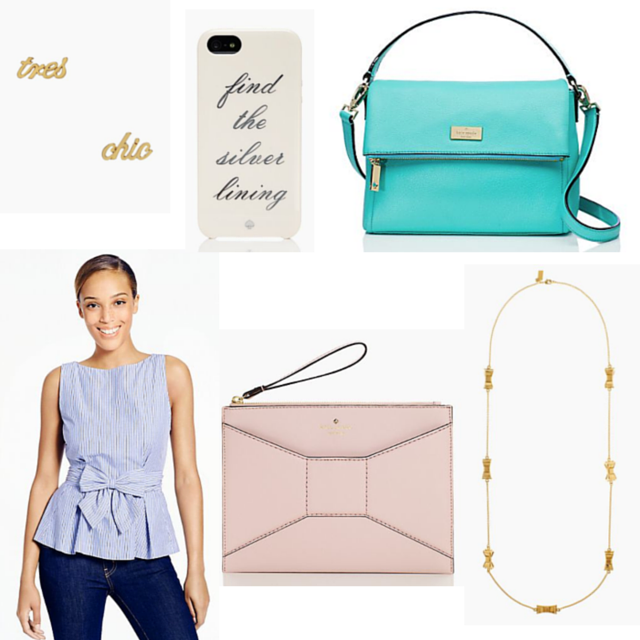 Got an email this morning about Kate Spade's Sale and decided to share my favorites! I will not be purchasing any of these sadly, but I'm trying to spend less these days... but I can still dream, right? Use code SHOPTOIT at checkout to save an additional 25% off! Highland Place Mini Maria - I love the color and shape of this bag! 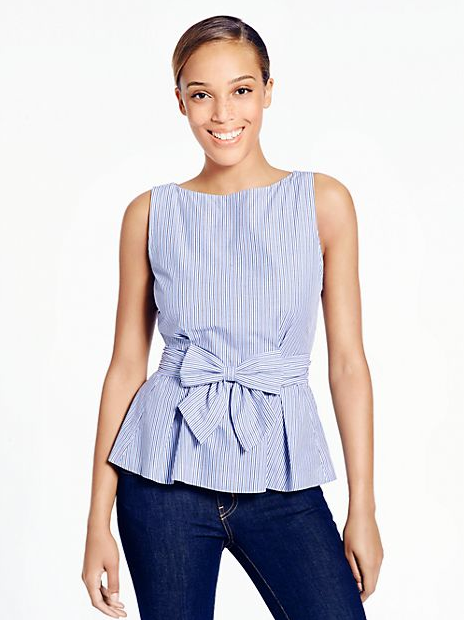 It is such a gorgeous color for spring and summer. If you're more of a neutral girl then go for the black - the inside is hot pink! 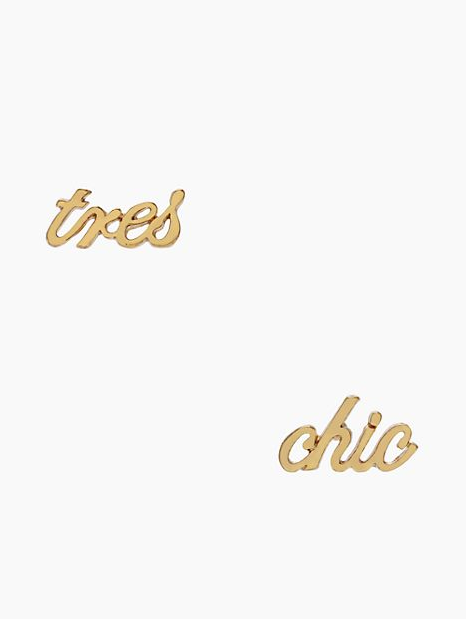 Tres Chic Studs - These say they are tres chic and I can't argue with that! 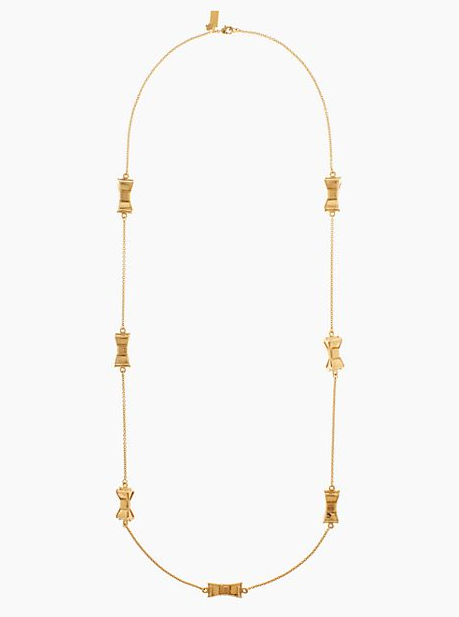 Moon River Scatter Necklace - Hello bows! I feel like this would go with everything. 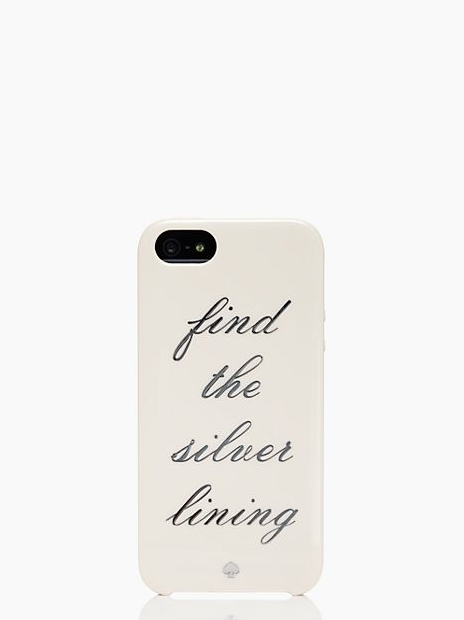 Find the Silver Lining iPhone Case - I'm not crazy in love with the look of this case, it is pretty but nothing too special, but I AM crazy in love with the saying! What a great reminder to look at throughout the day. 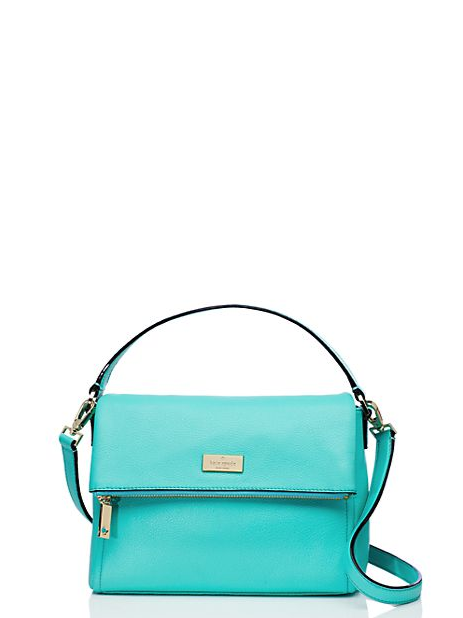 2 Park Ave Medium Bella Wristlet - If you love the beau bag as much as I do now is your chance to have something similar at a more affordable price! 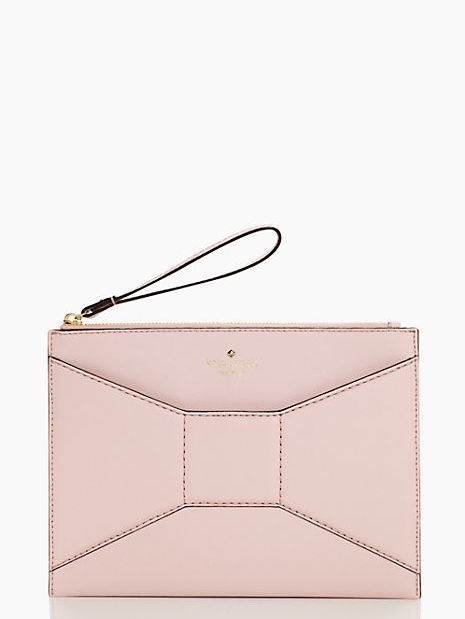 This wristlet is just perfect. The matching wallet is also available and equally perfect. Let me know if you get anything or what you're dreaming of in the comments! That wristlet is so cute especially for spring! Thanks for notifying me about the sale! I think I am going to get a few cases and desk accessories.